I came across this app accidentally. I was looking for A “How To Do Squats With A Medicine Ball Routine” on You Tube. I wasn’t satisfied with what I found and this app popped up. At this moment I am on the 7 day Trial try and so far I like what I have already accomplished. These workouts look soooo easy to do. Ummm yes.... for someone who has worked out for a substantial amount of time!! However, I am a beginner and I am waking up muscle I never knew I had. Mind you I am “ONLY” 2 days in. If you do the positions properly you will feel all the burns etc. I go to the gym Tuesdays, Wednesday’s and Thursday’s because I do not have the machine I need for my torn ACL and Meniscus therefore I go. The app helps me do what I am not doing at the gym at home with the workout means I do have like the weights to incorporate them into the workouts slowly. It is worth the 4.99 a week for 30 days. No difference between a monthly charge you pay at a gym besides it being a little less. I was hesitant but at the same time the doubt comes from me doubting myself about being able to do this. Believe me it looks easy but you don’t know unless you TRY it!! You have to start somewhere so I chose to download the app and do the workouts behind closed doors where I am not feeling as if I am being watched while doing my workout!! Kudos to the trainers who created this app. Hello Phantumly Mel, we are thrilled to hear that you find our app and the workouts good and useful. We have put a lot of hard work and effort into creating this app and hearing that users like you appreciates it motivates us to work even harder to keep improving the app and workouts. Feel free to reach us if you have any suggestions simply by sending and email to reviews@bendingspoons.com. I am beyond upset with the financial and customer service with this application. I’ve consistently been overcharged. It is absolutely ridiculous that your ap promotes paying 4.99 a week, but I was charged 20 dollars on the same day on the 28th. Now, three days later on the 31st, which is less than a week I’m being charged another 4.99. This amounts to 25 dollars in one week, which is absolutely unacceptable. When I tried to voice my concerns and request a refund, I received an automatic email and then a failure to respond once I replied to the automatic email. There is also a malfunction with your software that forces me to subscribe more than once which results in you overcharging my account for multiple subscriptions. Even after I canceled the extra subscription and received a refund from Apple, the same issue occurred in a matter of a week. As someone who was truly enjoying this application and recommended it to many of my friends and family, I am deeply disappointed in the lack of customer service and regard for people’s finances. I will ensure to leave a review of my awful experience on any fitness website and on Apple as possible. I will also be receiving a refund from my credit card institution. I hope you all can improve one day. Sincerely, not happy. PS: Now that I’m trying to leave this review it isn’t letting me because I rated it so low. You all are scam artists. Hi, we are very sorry to hear about your experience with our app and customer service. It sounds like it was not very enjoyable, but we are here to do our absolutely best to help you now. Given your review, we might need some more information and to take a closer look at your case. We warmly welcome you to send us an email to reviews@bendingspoons.com and we'll be ready to help you. I like the built-in timers ... and the intuitive use of the user interface, it’s so easy to drag up between sets. 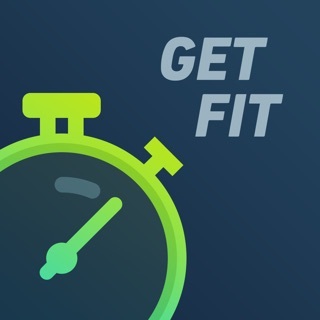 The exercises themselves are ok, having done p90x and insanity when I was younger (I’m 56) I found their exercises well-designed, now I’m not up to that level and this app is seriously helping me get back to that — maybe it’s not a fair comparison, but it’s what I have. It’s not that the exercises are much different, but I find that they pay less attention to ergonomics and physiology than those systems — especially for those of us who need some steps to get to those movements. On the other hand, what this has that the others don’t, is the ability to adjust the load after each workout, very cool. The other thing I wish is that they paid more attention to earn-up and cool-down and actually spent a little time on stretches before and after. It’s not a bit deal because I’ve added those on my own ... but as much as I like this app there’s small tweaks that would make it amazing for me. I still give it a five star for finding an awesome app design that really helps me stick with it. Hello cwildhorse, thank you very much for sharing your experience with us. We are very pleased to hear that you are overall satisfied with the app in particular it thrills us to know that you like the design as we have put a lot of though and effort into making the app the way it is today. We are very grateful for your input and will be sure to take them into consideration for future updates. For further suggestions or comments, please don't hesitate to contact us by sending an email to reviews@bendingspoons.com.